The Ghana Gas Company has confirmed that Sinopec has threatened to abandon the gas infrastructure project if government continues to fail in honouring its financial commitments on the project. 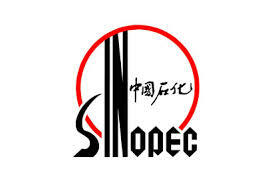 Sinopec is the Chinese petrochemical company constructing the 700-million dollar gas project which started in 2011 in the Western Region. The project was expected to be completed last year. The project is only about 60 percent complete so far, largely due to financial constraints. The Chief Executive of Ghana Gas Company, Dr George Sipa Yankey, told Joy Business the Company has been continuously pleading with SINOPEC not to stop work. He said government has sent a team to China to discuss the issue with the China Development Bank (CDB), who are financing the project. The project when completed will provide gas for power generation as well as domestic purposes. Get the latest news and updates on Ghana’s oil and gas value chain by following us Reporting Oil and Gas on twitter @oilgasghana and like our facebook page and get at us on Google+. Subscribe to our group to get updates.